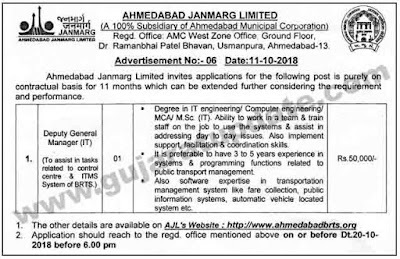 Ahmedabad Janmarg Limited has published Advertisement for Deputy General Manager (IT) Post 2018. Other details are given below. 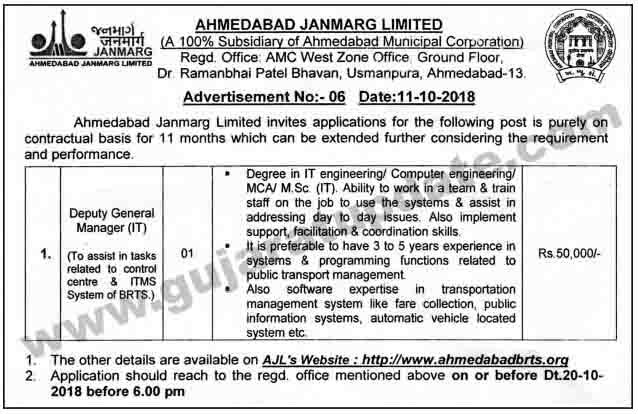 Last Date: 20-10-2018, Before 06:00 pm.